Torridon|2 double and 2 single.| No. 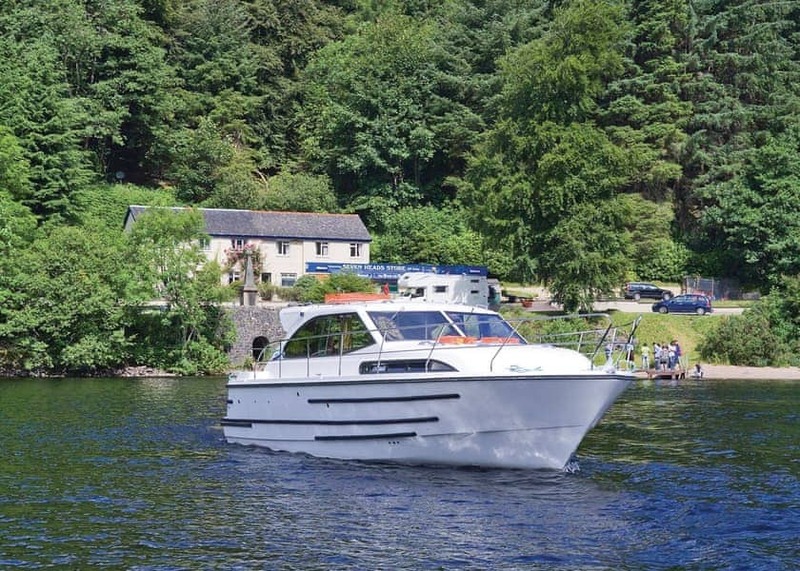 1 new in 2014, No 2 new in 2018 Aft steeringWi-FiBow and stern thrusters for ease of handlingCanopy fitted over aft steering positionSpacious top deck with seatingDVD with monitor in saloon and aft cabinCD/radioMicrowaveToasterWalk round double berths2 ensuite shower with electric flush WCs|12.20m x 4.06m (40ft x 13ft 3in)|A flagship boat ideal for both couples and families. 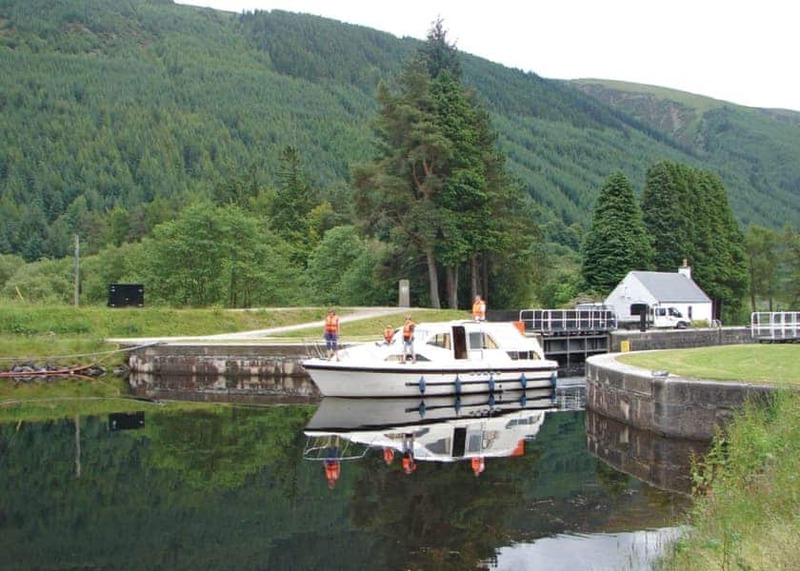 Kintail|2 double.| No. 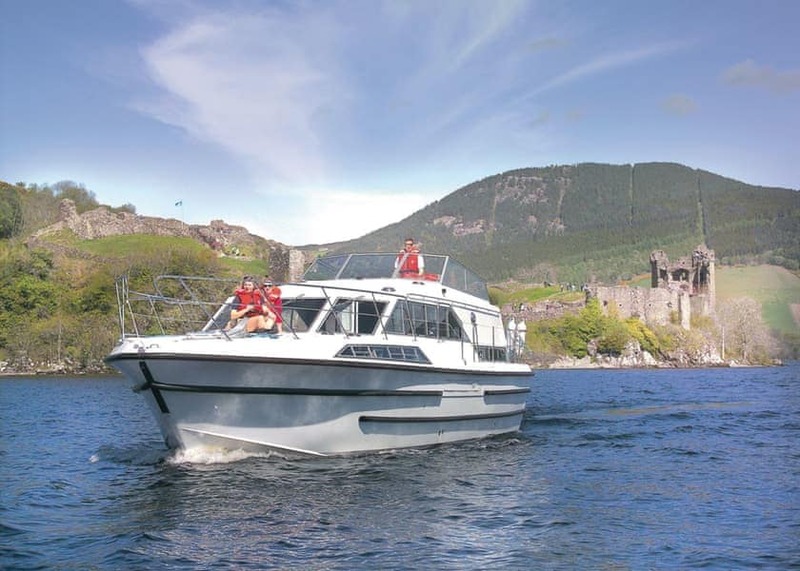 1 new in 2015, No.2 new in 2016, No.3 new in 2017 and No.4 new in 2018 Aft steering from flying bridgeWi-FiBow and stern thrusters for ease of handlingCanopy fitted over aft steering positionSpacious topdeck with seatingDVD with monitor in saloon and aft cabinCD/radioMicrowaveToasterWalk round double berths2 ensuite shower with electric flush WCs|12.20m x 4.06m (40ft x 13ft 3in)|Ideal for two couples with two ensuite shower/WCs. 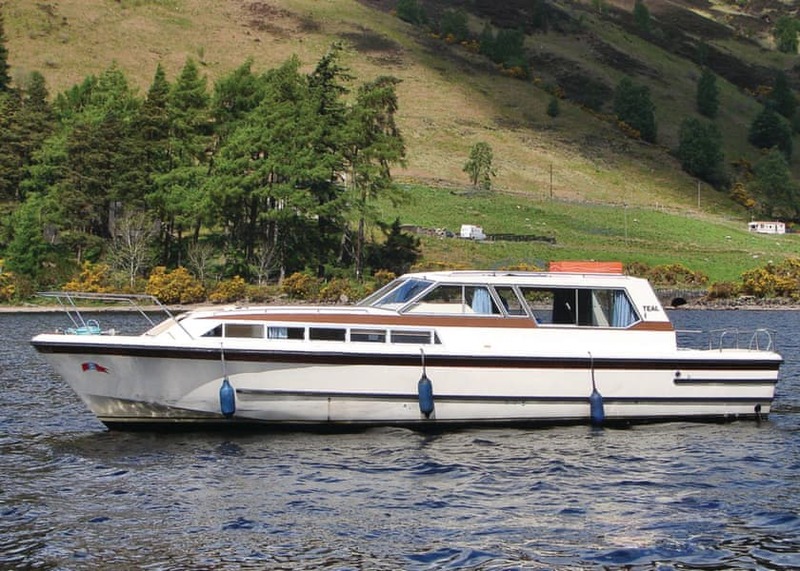 Eriskay|1 double and 2 single and settee double berth suitable for 1 adult or 2 children 3-11 years.| Centre steering Bow thruster for ease of handlingToasterDVD with monitorCD/radioShower/WC|10.36m x 3.76m (34ft x 12ft 4in)|Smart cruiser ideal for couples or families of four. 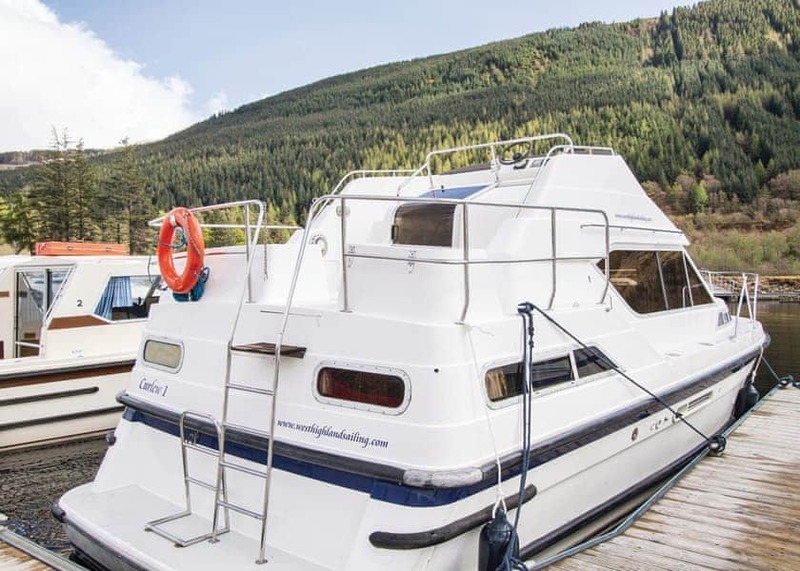 Strathspey|2 double and settee double berth suitable for 1 adult or 2 children 3-11 years.| Dual steering Bow and stern thrusters for ease of handlingDual steering from saloon and upper sundeckMicrowaveToasterCD/radioEnsuite shower/WCEnsuite showerSeparate ensuite WC|12.00m x 3.96m (39ft x 13ft 6in)|Ideal for two couples with two ensuite shower/WCs. 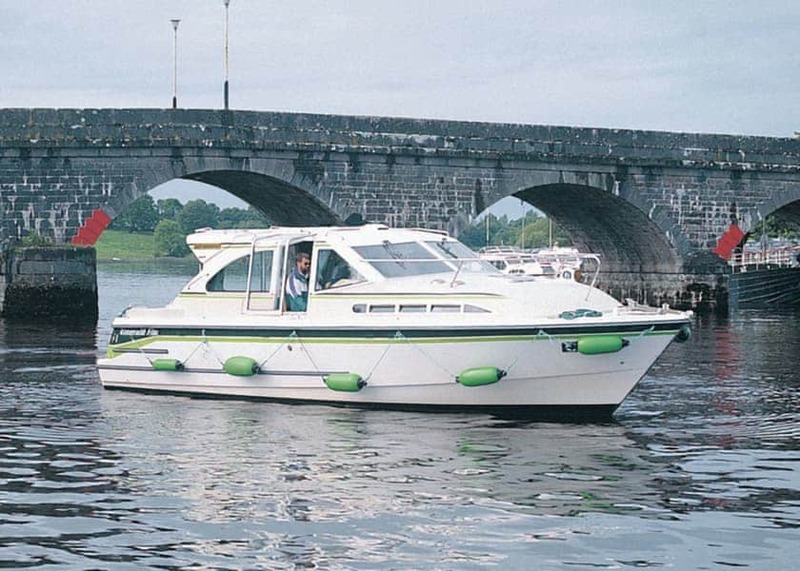 Taransay|1 double and 6 single or 8 single and settee double berth suitable for children 3-11years.| Dual steering Bow and stern thrusters for ease of handlingDual steering from saloon and upper sundeckToasterCD/radioShower/WCShowerSeparate WC|12.00m x 3.96m (39ft x 13ft 6in)|Recommended for six to eight with four cabins and two shower/WCs. 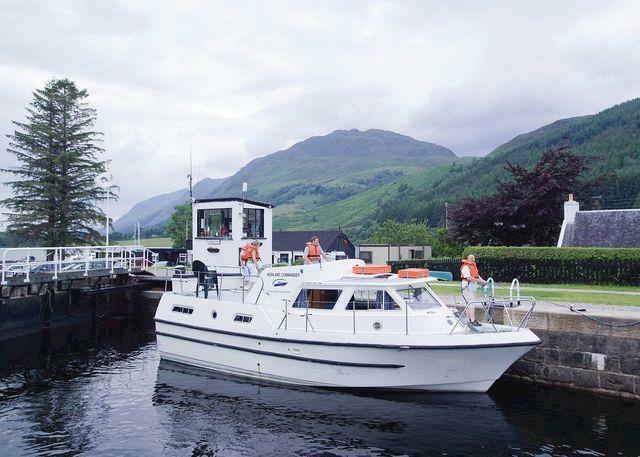 Highland Monarch|2 double and 2 single and settee double berth suitable for 1 adult or 2 children 3-11 years.| Dual steering Bow and stern thrusters for ease of handlingDual steering from saloon and upper sundeckMicrowaveToasterCD/radioEnsuite shower/WCShowerSeparate WC|12.00m x 3.96m (39ft x 13ft 6in)|Beautifully fitted out giving great comfort afloat. 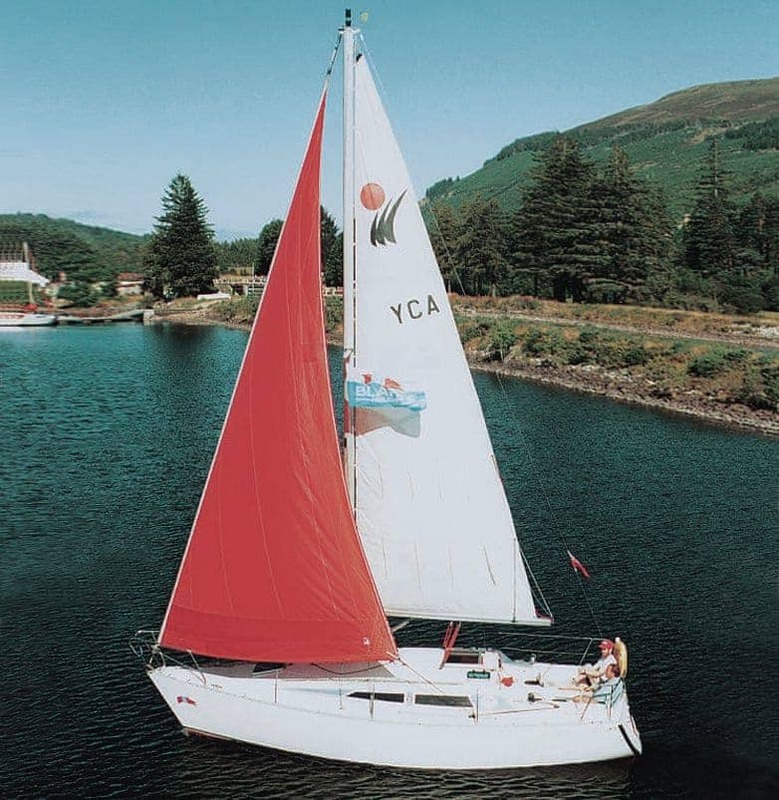 Mull of Kintyre|1 double and 1 single or 3 single and settee double berth suitable for 1 adult or 2 children 3-11 years.| Centre steering Bow thruster for ease of handlingAft deck with seatingCD/radioShower/WC|9.45m x 3.5m (31ft x 11ft 6in)|Smart family cruiser with spacious galley and dining area. 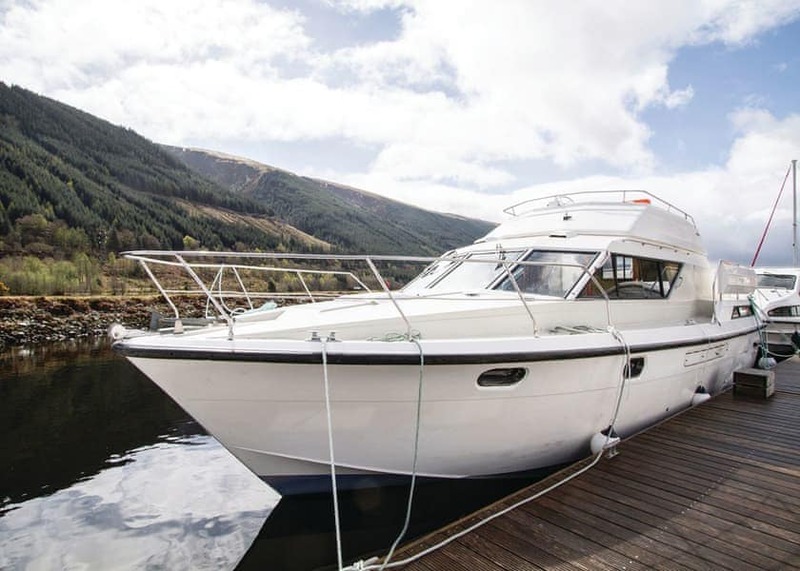 Highland Commander 2|2 double and 2 single and settee double berth suitable for 1 adult or 2 children aged 3-11 years.| Dual steering from saloon and upper sundeck Large raised sundeckMicrowaveToasterCD/radio2 shower/WCs, 1 ensuite|10.67m x 3.96m (35ft x 12ft 5in)|Economy family cruiser ideal for parties of up to six. 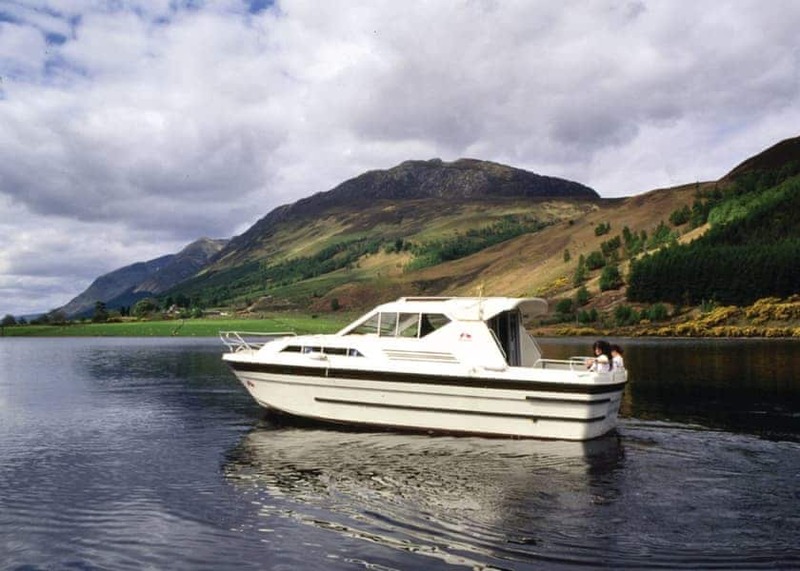 Highland Glen|1 double and 2 single and settee double berth suitable for 1 adult or 2 children 3-11 years.| Dual steering 240v systemBow and stern thrusters for ease of handlingDual steering from saloon and upper sundeckMicrowaveToasterCD/radio2 shower/WCs, 1 ensuite|10.67m x 3.66m (35ft x 12ft)|Stylish and sporty cruiser for parties of up to six. 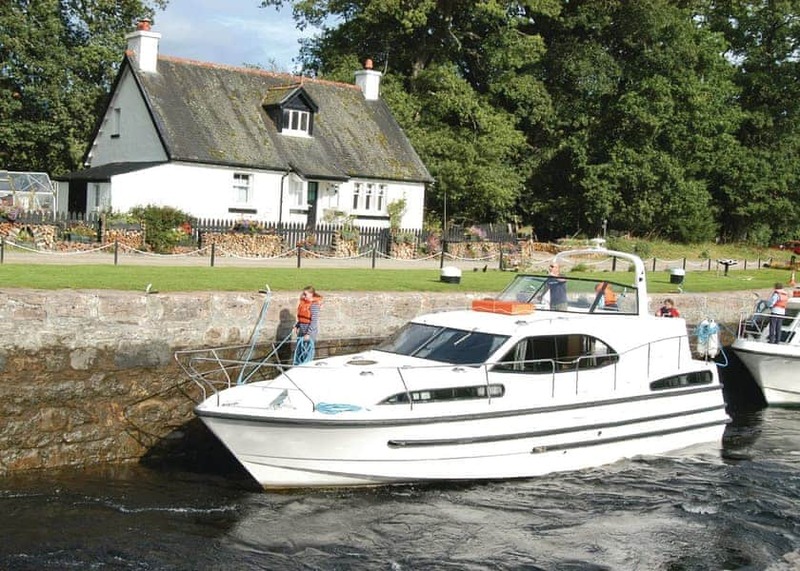 Balmoral|2 double or 1 double and 2 single and settee double berth suitable for 1 adult or 2 children 3-11 years.| Dual steering Bow thruster for ease of handlingDual steering from saloon and upper sundeckSprayhood fitted over aft steering positionToasterTV monitor for DVDCDShower/electric flush WCEnsuite showerSeparate ensuite electric flush WC|11.58m x 3.96m (38ft x 13ft)|Impressive, beautifully fitted out cruiser with spacious saloon. Horizon|1 double and 2 single or 4 single.| Dual steering Shore powerBow and stern thrusters for ease of handlingSpacious sundeck with bathing area, table, barbecue, ambient lighting and removable sun shadeOuter deck warm water showerTop deck media centre with MP3 playerLarge windowsAir coolingMicrowaveFlat screen TVDVDUSB portsSecurity safeEnsuite shower/electric flush WC|11m x 4m (36ft x 13ft 1in).|A very modern cruiser perfect for couples or small families, combining space, luxury features and comfort. 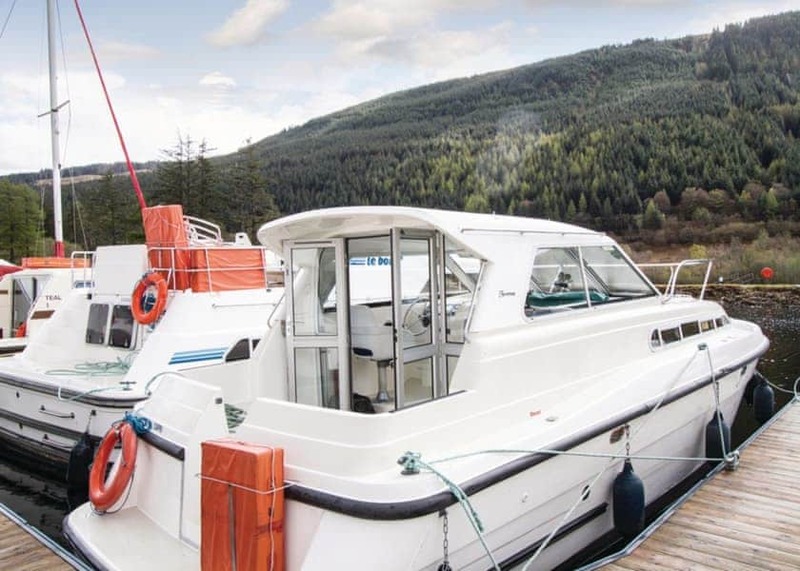 Mountain Star|1 double and 3 single| Centre steering Rear sundeck with seatingShower/WC|10.50m x 3.80m (34ft x 12ft 6in)|Nimble cruiser designed for absolute comfort and convenience. 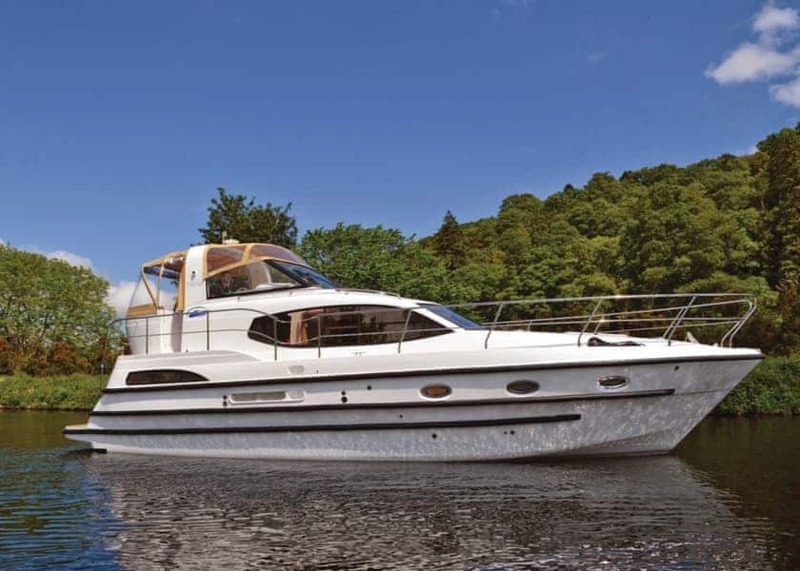 Countess|2 double and 2 single.| Dual steering Shore powerUpper sundeck2 shower/WCs, 1 ensuite|10.20m x 3.56m (33ft 6in x 11ft 8in)|Stylish, spacious and popular boat with luxurious accommodation throughout. 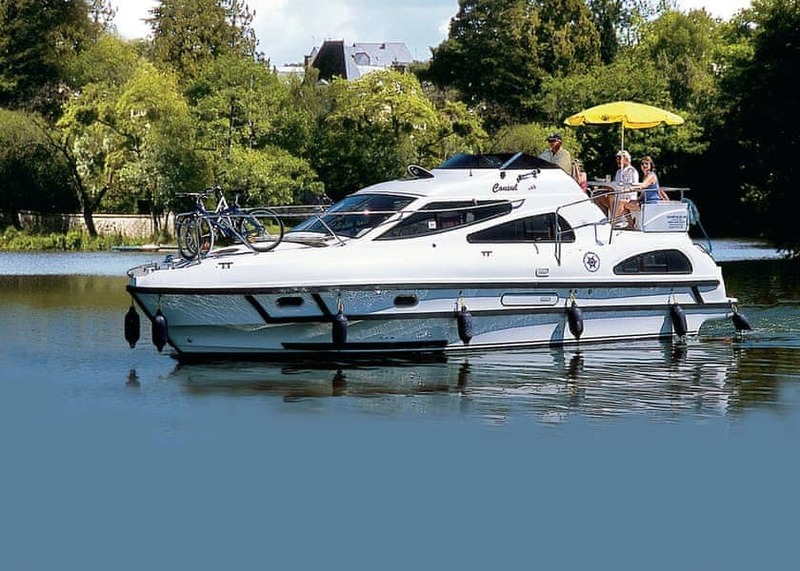 Caprice|2 double and 2 single or 1 double and 4 single.| Dual steering Sundeck with access to the saloon2 shower/WCs|12.00m x 3.81m (39ft 6in x 12ft 6in)|Sleek and modern cruiser with spacious upper sun deck and large rear saloon. 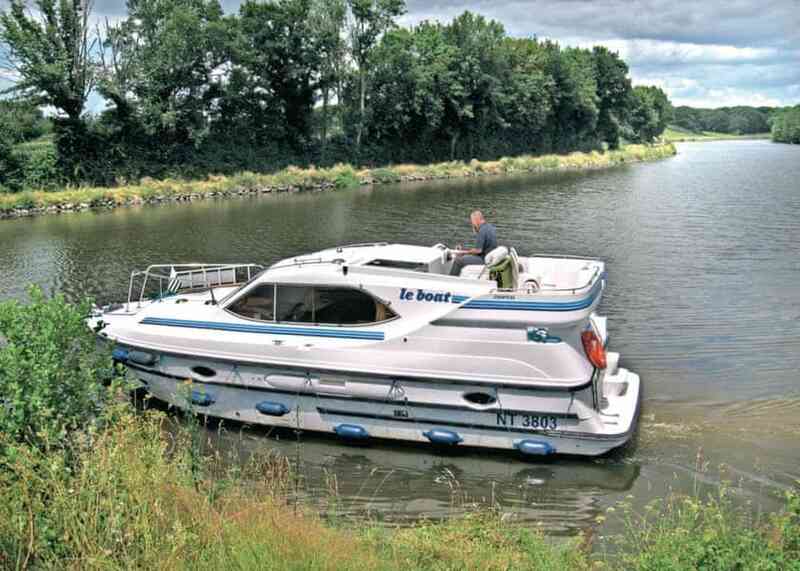 Magnifique|5 double, 4 double and 2 single or 3 double and 4 single.| Dual steering from saloon and sundeck Shore powerBow thruster for ease of handlingSpacious upper sundeck with fitted coolbox, parasol and seatingU-shaped saloon with side access to outside decksMicrowaveFlat screen TVDVDMP3 playerUSB port2 ensuite shower/WCsShowerSeparate WC|14.50m x 4.10m (47ft x 13ft 6ins)|Ideal choice for parties of up to 10 with spacious upper sundeck featuring fixed table, padded seats, sun canopy and cool box. 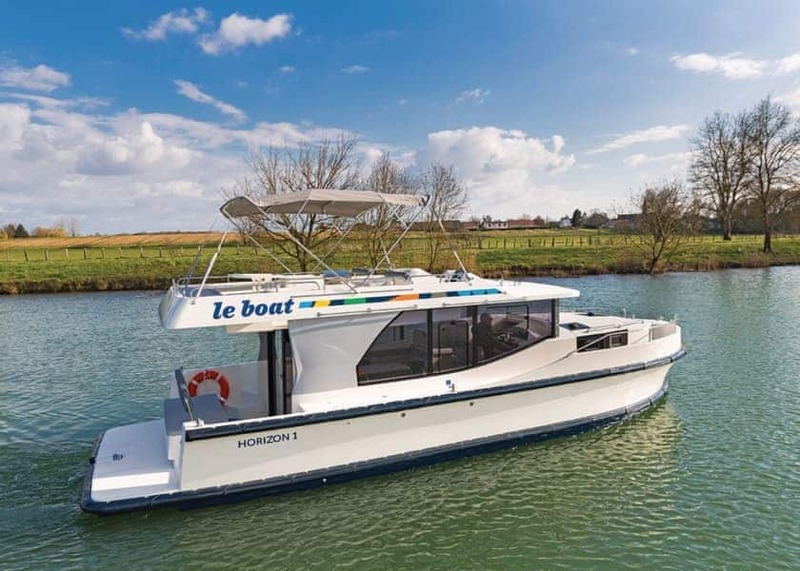 Classique|3 double and 2 single, 2 double and 4 single or 1 double and 6 single.| Dual steering from saloon and upper sundeck Spacious saloon with access to outside decksGalley on lower levelSecurity safe2 showers2 separate WCs|12.80m x 4.10m (42ft x 13ft 6in).|Dual steering cruiser with large galley, upper sundeck and four cabins, perfect for families. 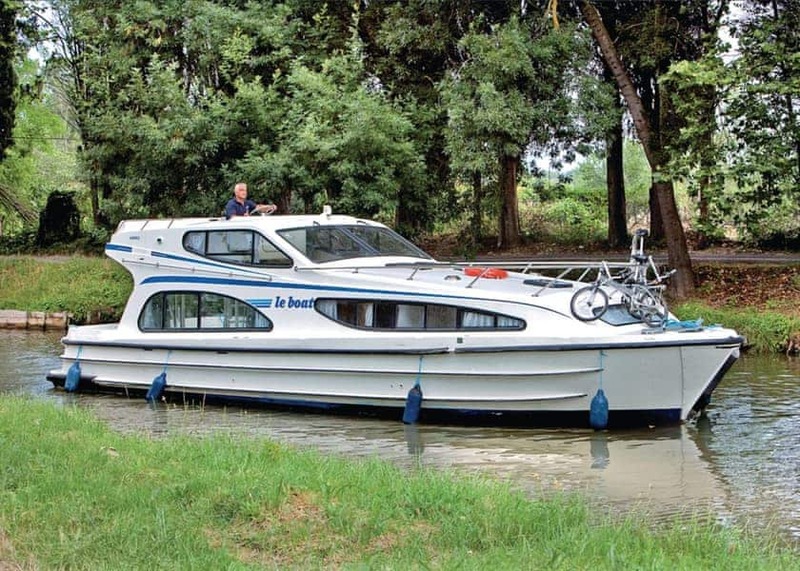 Consul|2 double or 1 double and 2 single.| Dual steering from saloon and rear sundeck Shore powerSpacious saloonFlat screen TVDVDFans in each cabin2 shower/WCs, 1 ensuite|10.33m x 3.37m (34ft x 11ft).|Spacious, dual steering cruiser with comfortable sleeping accommodation, well suited to two couples or small families. 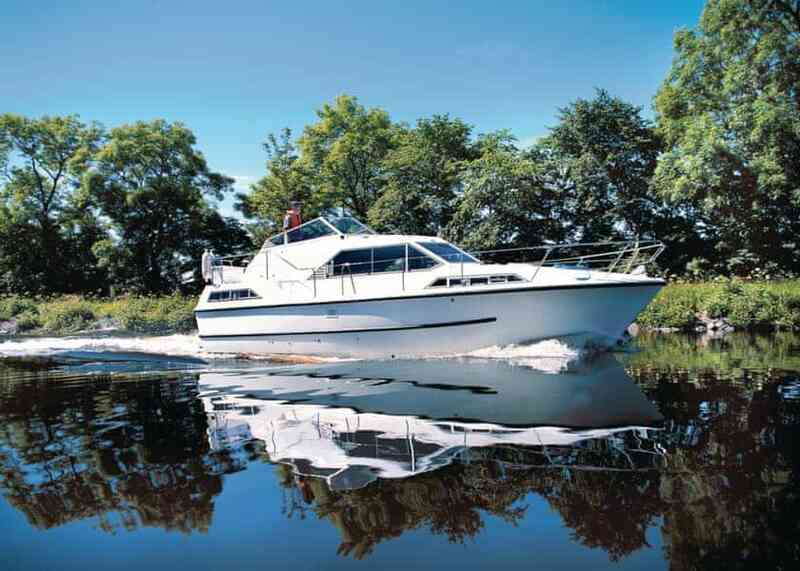 Crusader|2 double and 2 single, 1 double and 4 single or 6 single.| Dual steering from saloon and large upper sundeck Security safe3 ensuite shower/WCs|11.90m x 3.90m (39ft x 13ft)|Well appointed cruiser with three ensuite shower/WCs. 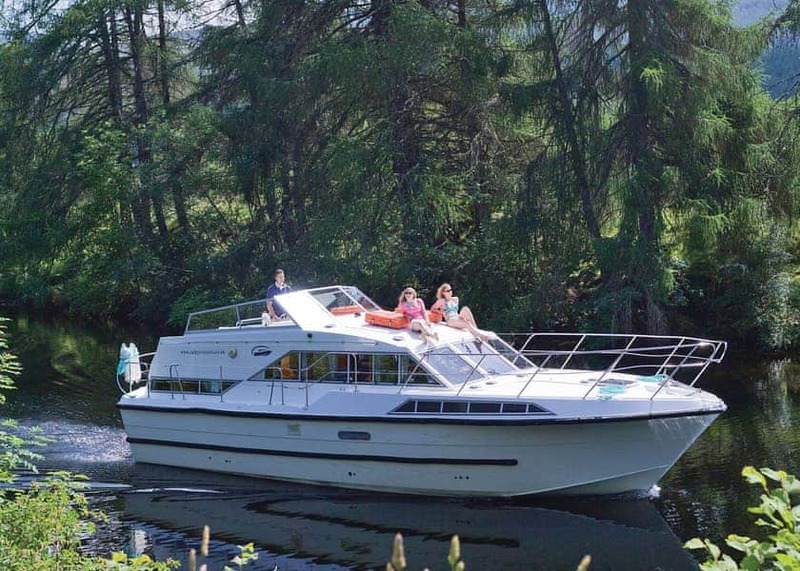 Clipper|3 double or 2 double and 2 single.| Dual steering Shore powerLarge al fresco entertaining areaFlat screen TVDVDMedia centre with MP3 connectivity2 ensuite shower/electric flush WCs|11.00m x 3.90m (36ft x 13ft).|Dual steering cruiser accommodating parties up to six with luxuirious, spacious saloon area. 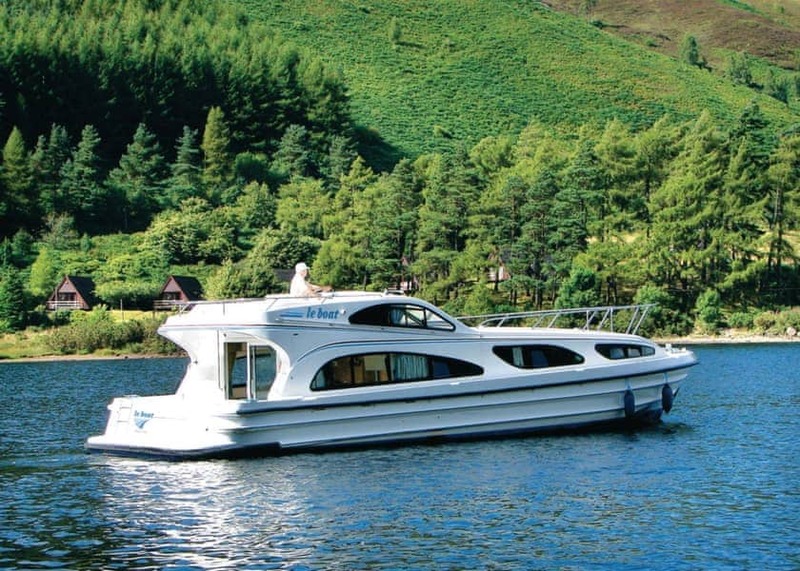 Elegance|2 double and 2 single, 1 double and 4 single or 6 single.| Dual steering Shore powerBow thruster for ease of handlingExternal engine for quieter cruisingSliding canopyUpper sundeckLarge al fresco entertaining areaBathing platform at rearAir coolingMicrowaveFlat screen TVDVDMedia centre with MP3 connectivitySecurity safe3 shower/WCs, 2 ensuiteElectric flush WC|13.10m x 4.10m (43ft x 13ft 6in)|A modern layout with three shower/WCs, ideally suited for cruising in spacious luxury for up to six. 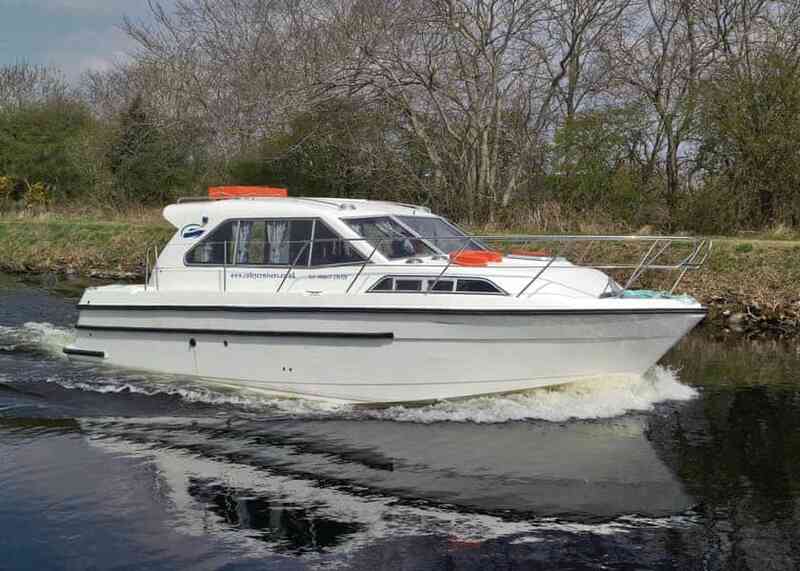 Capri|1 double and 1 single.| Aft steering Raised steering position with opening roofRear well access for easy boardingDouble doorsLarge rear deck with seatingShower/WC|9.00m x 3.20m (29ft x 10ft 6in)|Spacious rear sun deck with seating. 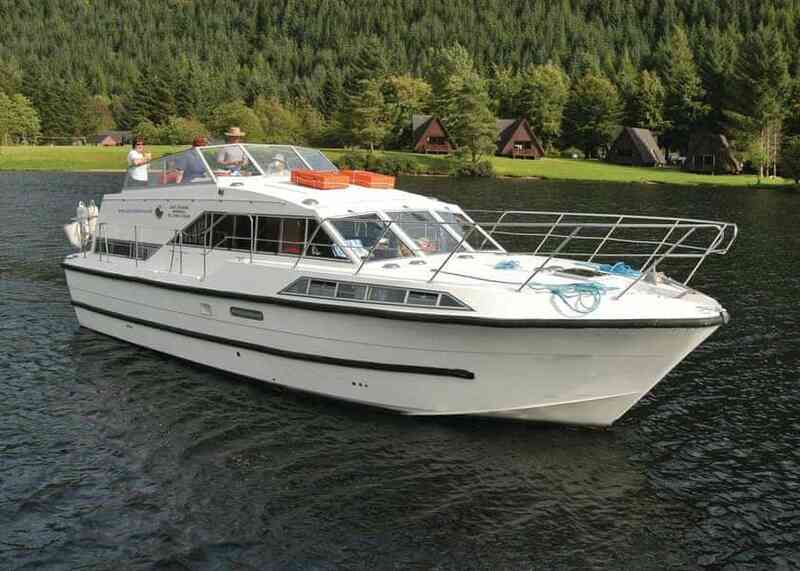 Royal Star|3 double and 2 single.| Dual steering postion from saloon and upper deck Shore powerEnsuite shower/WCShowerSeparate WC|12.80m x 4.10m (41ft 11in x 13ft 5in)|A classic design for this comfortable and spacious cruiser. 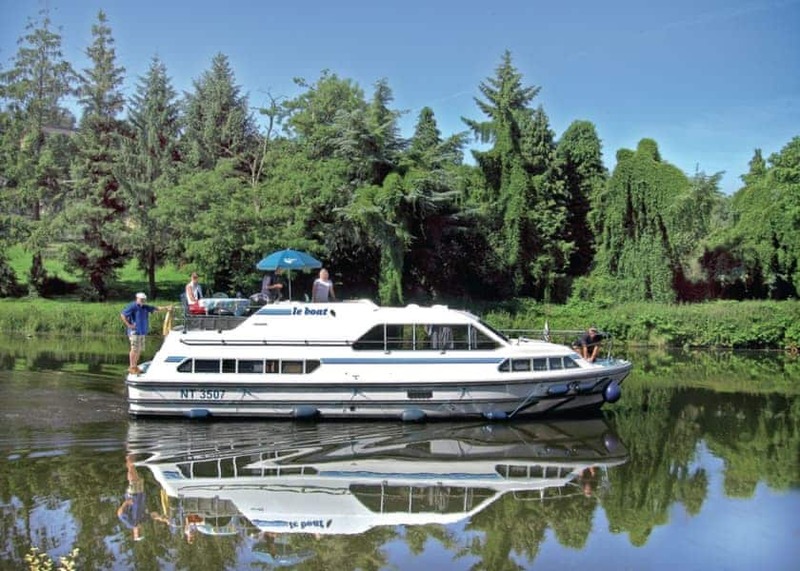 Braemore|3 double, 2 double and 2 single or 1 double and 4 single.| Dual steering from saloon and upper sundeck Sliding door to access side deckRadio2 shower/WCs, 1 ensuite|10.36m x 3.66m (34ft x 12ft)|Attractive cruiser with dual steering. 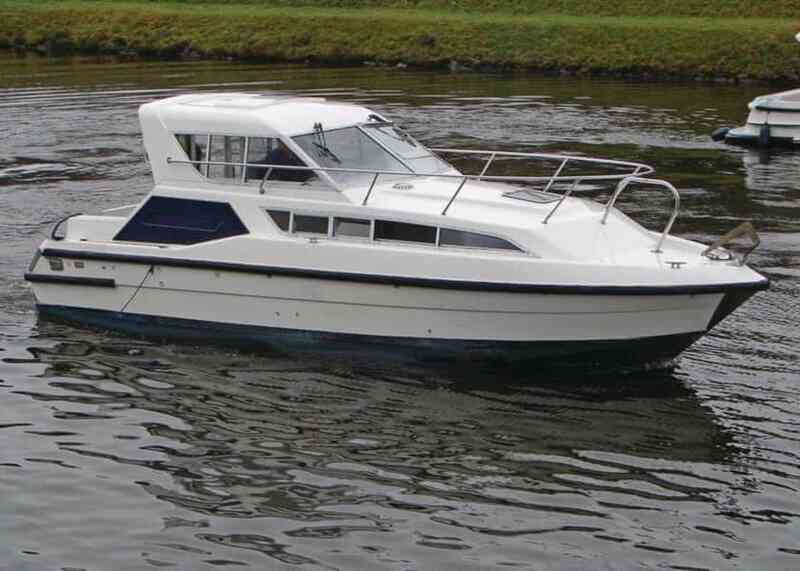 Moody 28|2 double and 2 single or 1 double and 4 single.| 240v system (from shore power) Recessed boarding platform incorporated into the transomSpacious cockpit and unobstructed deck areasChart table opposite galleyHot waterWarm air heatingGalley including double burner, grill, oven and fridgeShower/WCEngine: Nanni diesel|8.53m x 3.05m (28ft x 10ft) Headroom 1.83m (6ft)|The most popular yacht in the fleet, suitable for all levels of sailing experience. 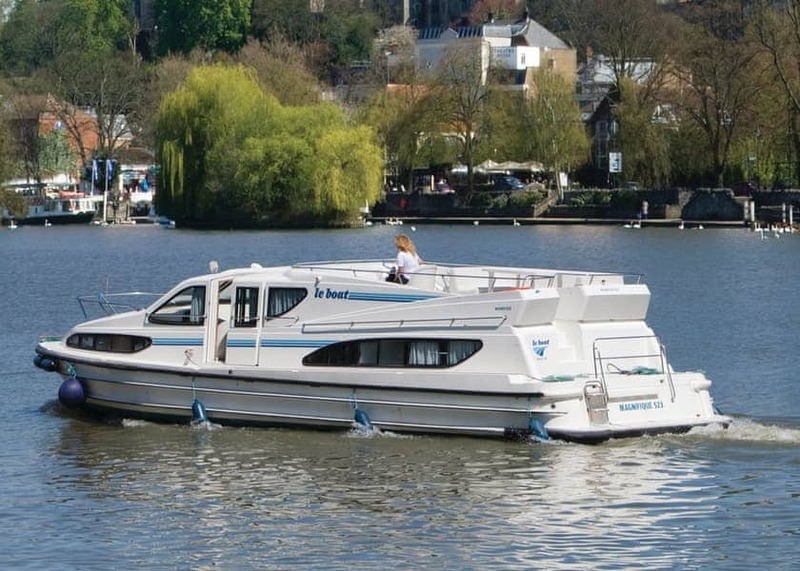 Cygnet|1 double and 2 single.| Centre steering Patio doors to large rear deckShower/WC|9.30m x 3.35m (30ft 6in x 11ft)|Compact classic style cruiser, ideal for couples or smaller families. 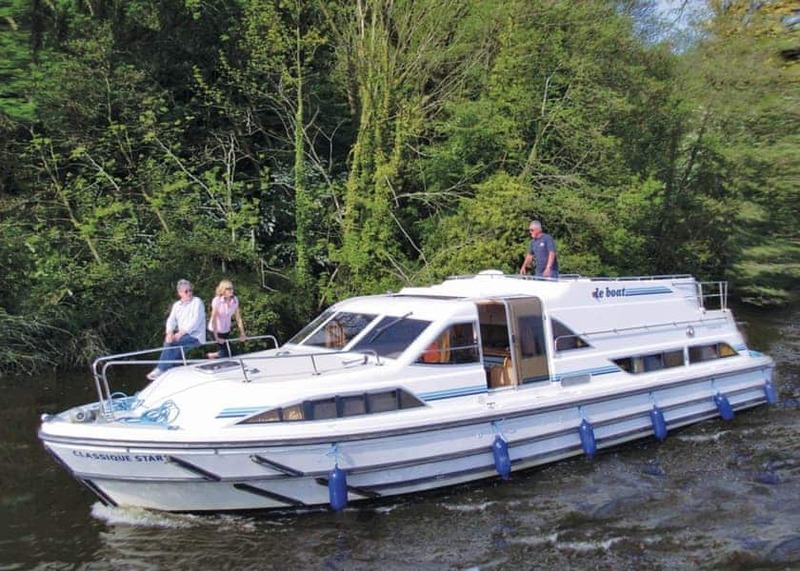 Teal|3 double or 2 double and 2 single.| Centre steering Patio doors to large rear deckPicture windows in saloonAft well ideal for fishing and sunbathing2 shower/WCs, 1 ensuite|11.28m x 3.66m (37ft x 12ft)|Offering family value and comfort, with patio doors to the rear deck ideal for sunbathing or fishing. 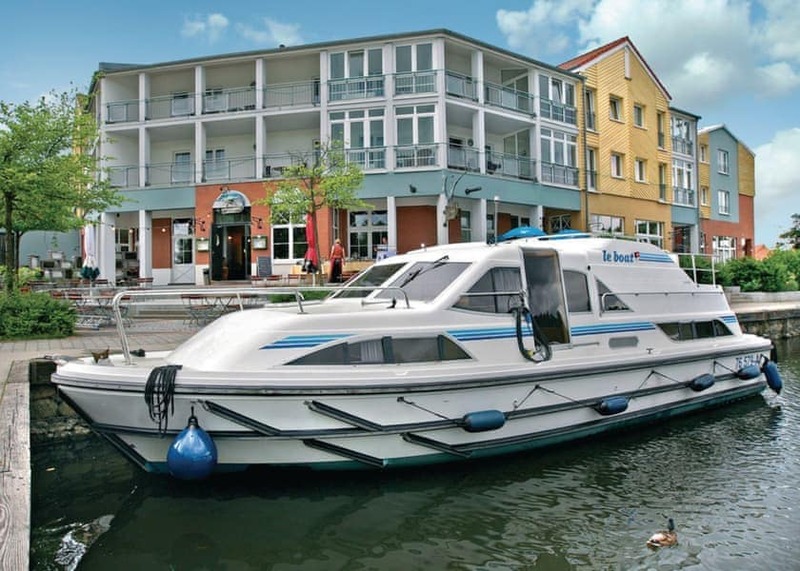 Kingfisher|2 double or 1 double and 2 single.| Centre steering Raised centre steering position for good visibilityRear well access for easy boardingSliding doors to rear deck with seatingAft deck ideal for fishingShower/WC|8.25m x 3.10m (27ft x 10ft 2in)|Compact, comfortable cruiser, ideal for couples or smaller families. 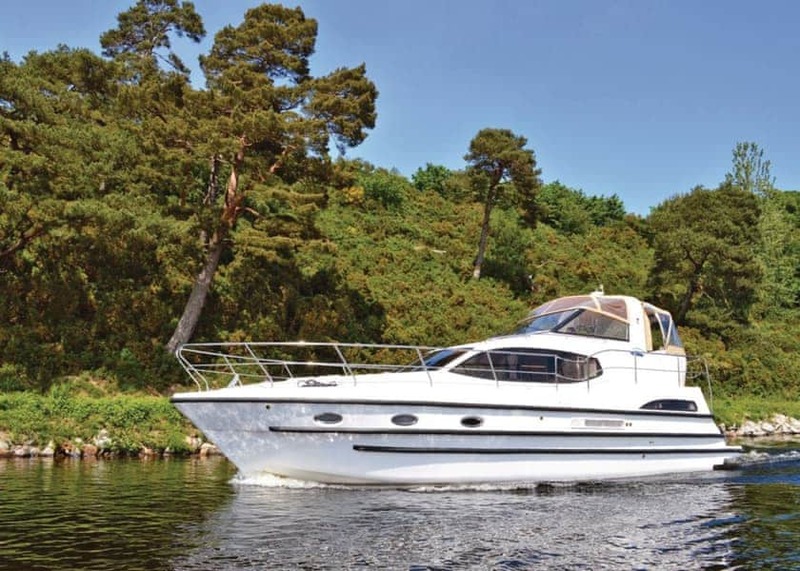 Curlew|3 double or 2 double and 2 single.| Dual steering from saloon and upper sundeck Shore powerPicture windows in saloon2 shower/WCs, 1 ensuite|9.45m x 3.51m (31ft x 11ft 6in)|Modern six berth cruiser with dual steering and sundeck.